Tennis tracking is more than just tracking your match scores. 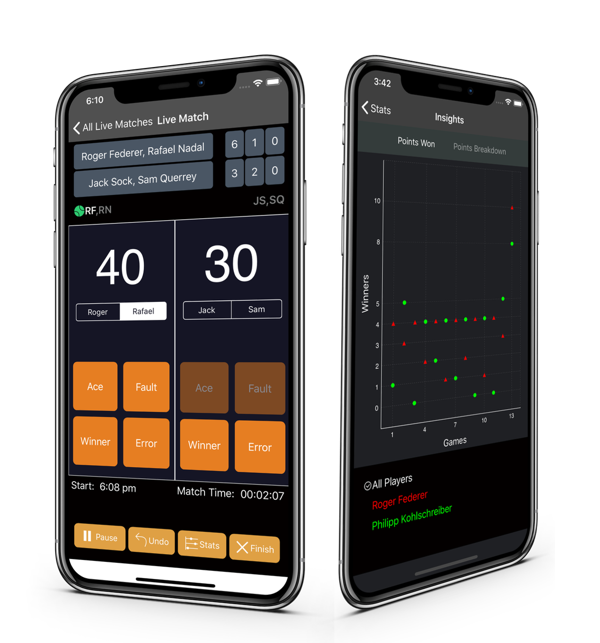 Track your hitting practices, tennis lessons, swing shots, court conditions, cross training activities, movement on the court, tournaments, how you play and how you feel. Want to take your game to a new level? Start developing a game plan against your opponents. Easy to use templates make it fast and fun to enter your opponent's strength, weakness and line calls tendency right after you play them. Next time you have to play them again, their game style will be at your fingertips. 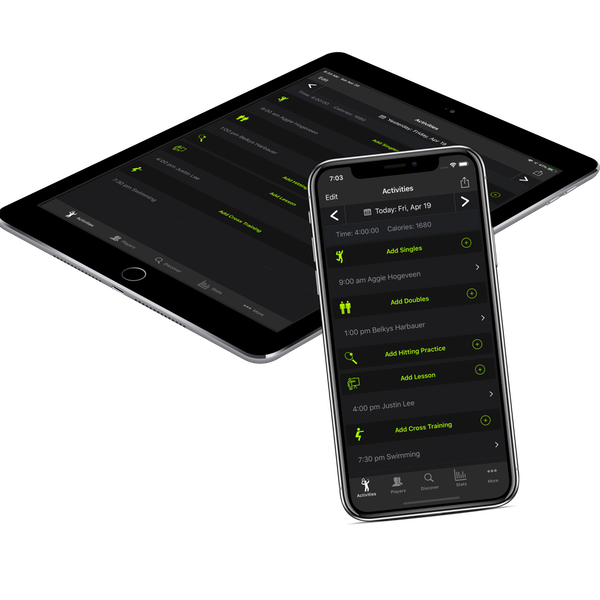 Parents, coaches and teams can use Live Match Point by Point tracking to record their kids, students or teammates actions from the sidelines. Keep track of each point details and analyze the match stats to identify areas for improvement. Tennis fans can record the tennis matches they are watching. Interactive dashboard provides summary by week, month or year your time spent on all your activities. 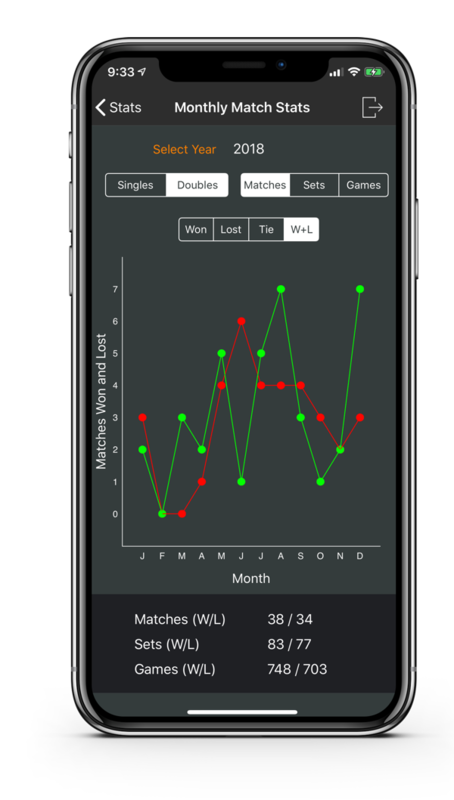 See how much time you spent playing singles or doubles matches vs practices or lessons. 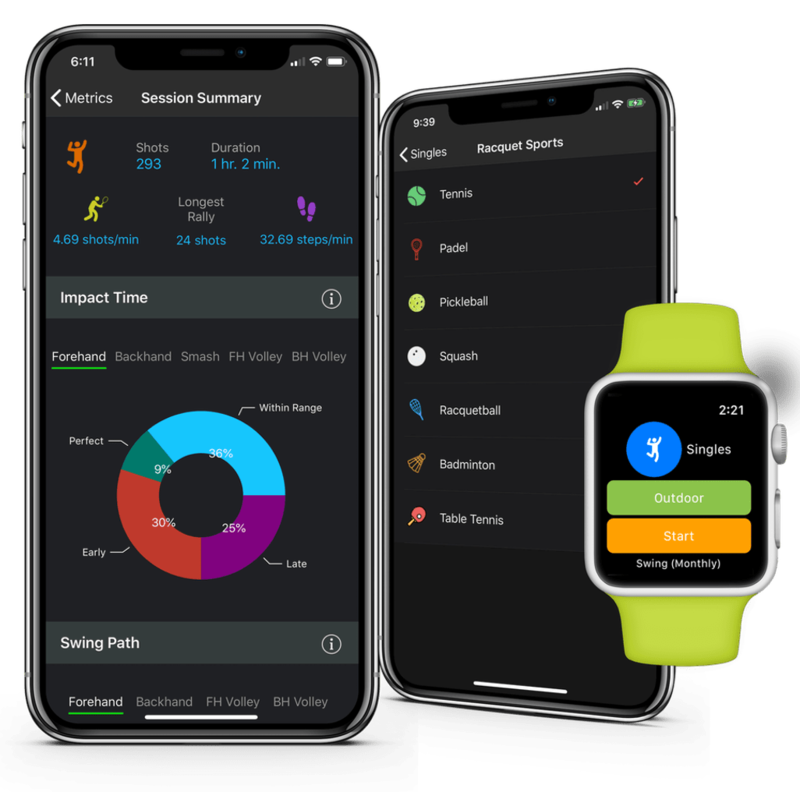 Your tennis activity is added to your Apple Health as a Workout so that you can get the credit towards your fitness goals in your Activity app. Do you know how many matches you played? What is your record against certain opponent? Have you improved over time? Unless you are on the professional circuit, these are impossible questions to answer until now. Get your win, loss stats for matches, sets and games by week, month or year. Export all your tennis data to a .csv file for further analysis. Get your lifetime Head to Head Statistics against any opponent. 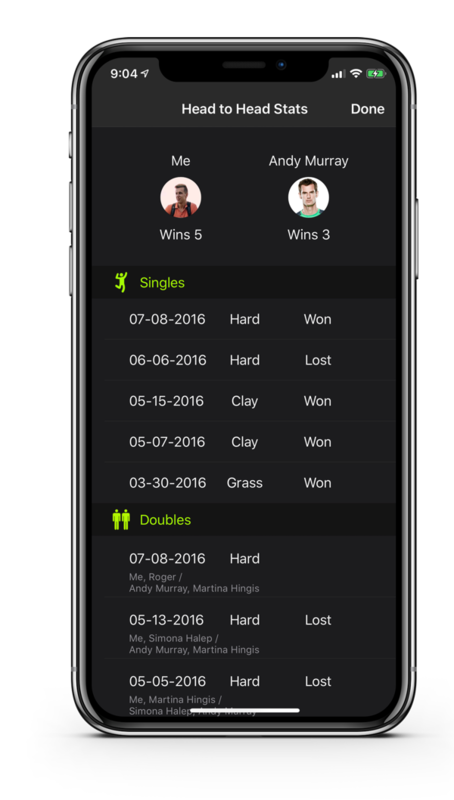 Get your overall stats with all your doubles partner. Now you can objectively determine who is a better doubles partner for you. 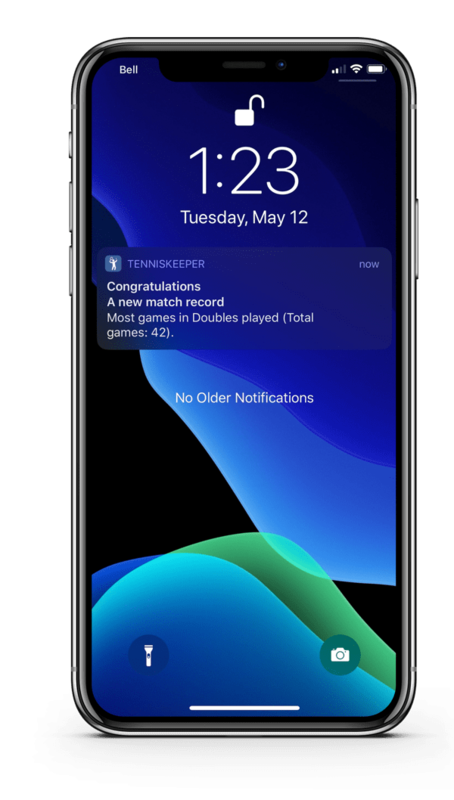 If you have an iPhone, iPad and Apple Watch, TennisKeeper will synch your data across all of your devices. Your data is stored on the Apple iCloud. There is no additional account to create or password to remember. 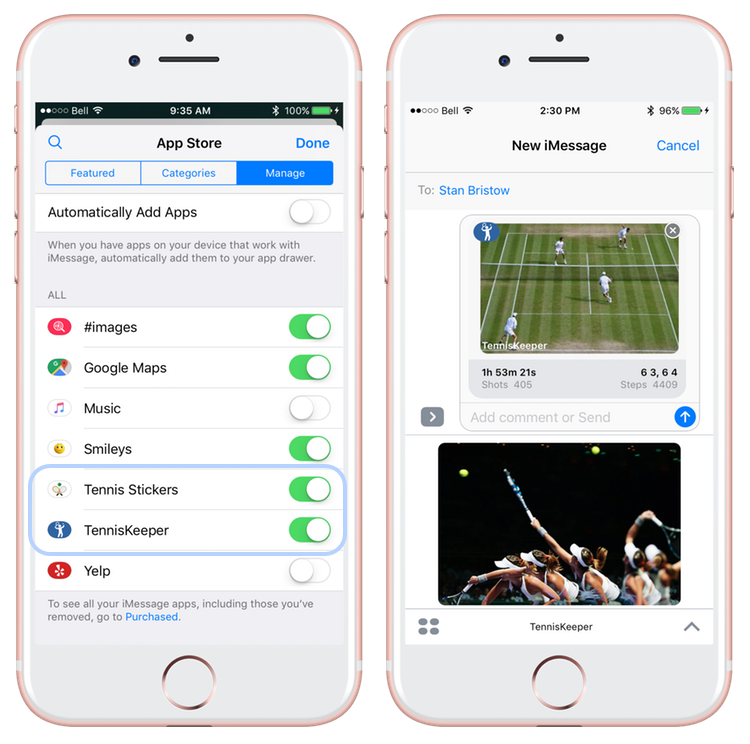 Share your tennis activity with your friends right from the iMessage app. Simply start a new message, tap the image and add it to your message. The image is customized to show your activity type, duration, scores, number of steps and shots. Want more iMessage Stickers to enrich your tennis conversations, get our Fun Tennis Stickers pack. 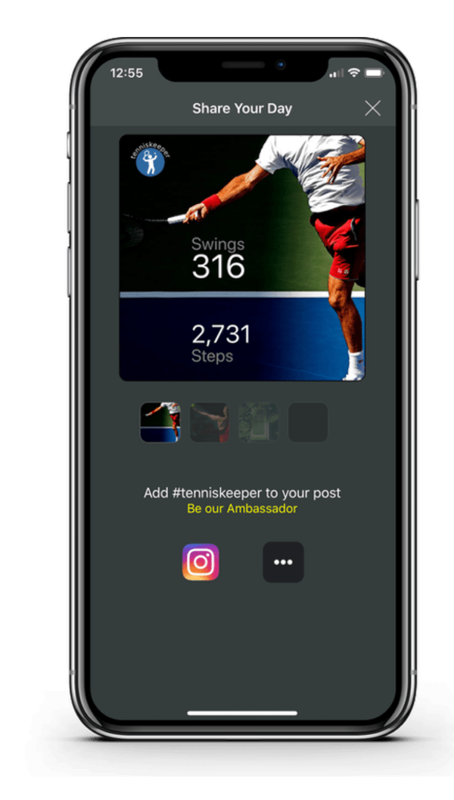 Add TennisKeeper widget to your home screen and see your tennis progress such as the number of steps and shots you made today. You can also see the number of tennis sessions you played in the past two weeks. To open TennisKeeper, just tap the widget. Tennis is a team sports. 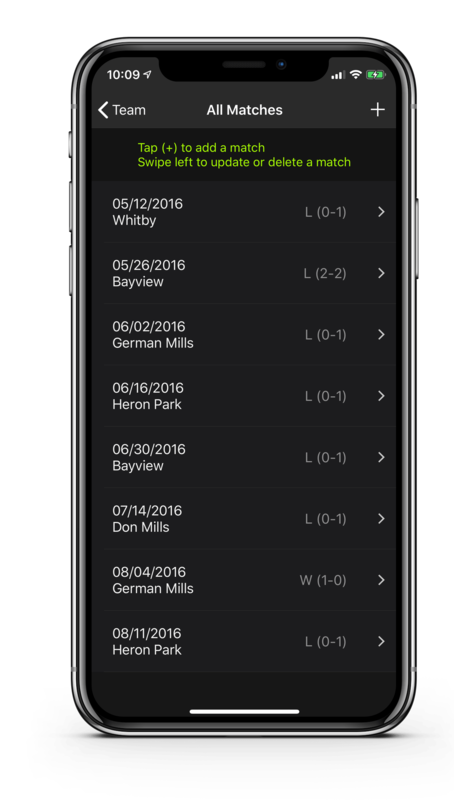 If you are playing on a tennis team, use TennisKeeper to keep track of your own results. If you captain or coach tennis teams, use TennisKeeper to help you manage all your teams roster and results. Have a special tennis moment you want to remember? 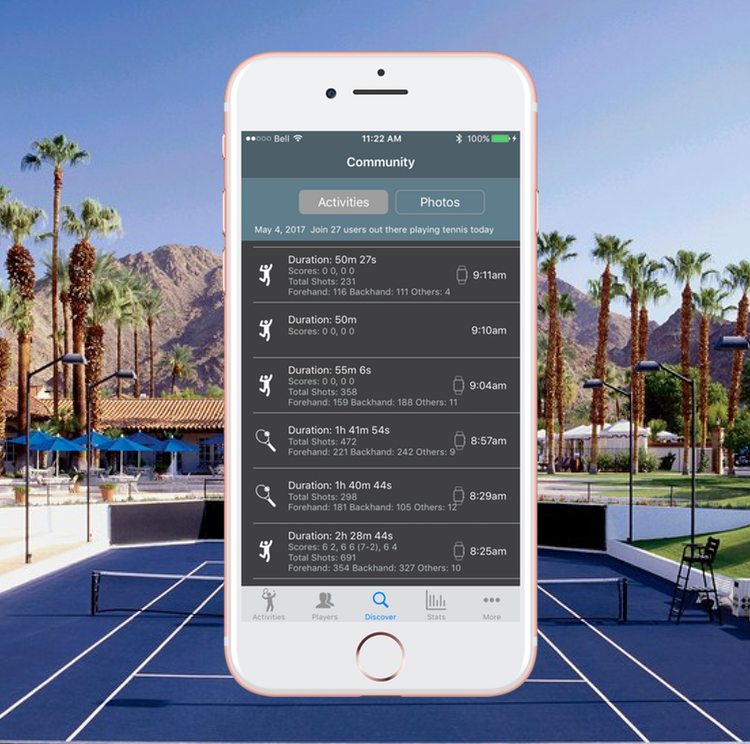 Attach a picture of where you are playing to your tennis activity and share it with TennisKeeper Community. Share your tennis results on social media so that your friends and families can cheer for you. 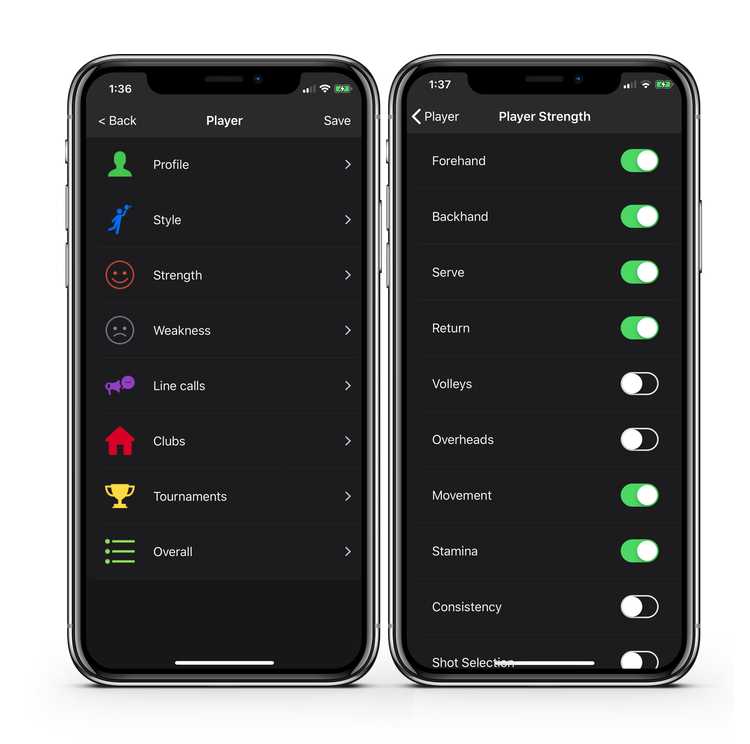 Play like the Pros - Get instant notification when you played the longest match by duration or by the number of games. Our String Tracker tracks the hours played on your string and we will notify you when it is time to restring. We also offer a special discount for buying strings from our string partner. 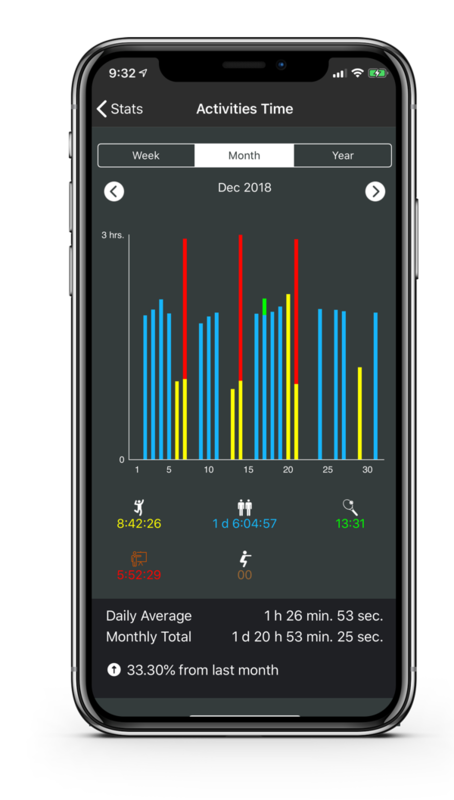 Compare your tennis workout duration, scores, number of forehand, backhand or others shots made with the rest of the TennisKeeper users. Stay motivated and keep improving.